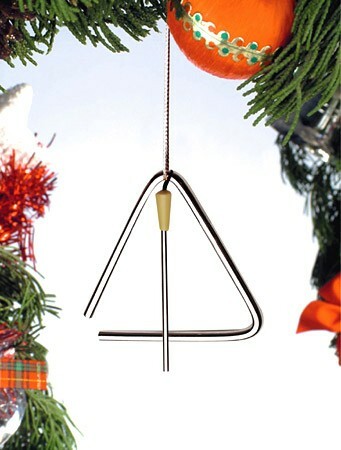 Triangle Christmas Ornament – Celebrate the festive holiday season with a Triangle Christmas Ornament. The often overlooked but important percussion instrument will add a touch of music to your Christmas tree decorations. The triangle can be actually played with the included metal striker! Made of metal. Approx. 4″ with 4.75″ striker. Awesome Christmas Drums Ornaments at DRUM BUM!